It’s not unusual that little boys dream of cars, but some little boys dream differently. And Nick Drummond definitely fits into that category with his dream, somehow convincing his mom to drive him several states away in a U-Haul truck to pick up a car that other people his age wouldn’t necessarily be interested in - or have even heard of. You see, 14-year-old Nick Drummond was on his way to getting his BMW Isetta. 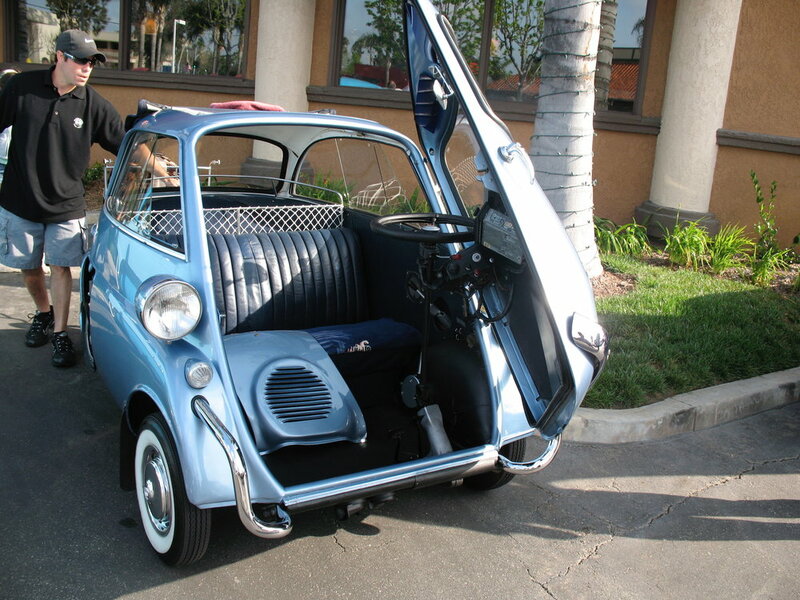 Yes, that’s the odd BMW built in the 1950s microcar era where the entire front of the car is the door. While most kids his age may have lusted over the high-performance cars in the car magazines, Nick had different aspirations. And, speaking of aspirations, this wasn’t even Nick’s first car. Nick made his way into the Isetta through very skillful - and sometimes lucky - trades. Ultimately he ended up with a very rare 1980 HMV Freeway, a three-wheeled economy car of that era. After flipping that for a profit, the Isetta was in range. “They’re just so strange and so unique.” Yep. Isettas have an interesting origin, initially coming from the Italian firm Iso SpA. The company had the auspicious start in the appliance business but also manufactured motor scooters and the infamous three-wheeled commercial vehicles that I remember ending up in the pool so well from Pink Panther movies. When the Isetta hit the scene in 1953 it made quite a splash and truly was unlike anything anyone had seen before. With its front end opening up to let you in, bubble windows and extremely small size it was a big hit in post-war Europe. Motivating the car was a 9.5hp motorcycle engine and the front wheels were placed way far apart while the rear drive wheels were so closely spaced no differential was needed. With a good tail wind you could theoretically hit 50 miles per hour and acceleration was, well, it was leisurely with the car hitting 30 miles per hour in about 30 seconds. But the point of the car, great fuel economy, was hit square on with people reporting some 70 miles per gallon which was really appreciated in post-war Europe where resources of any kind were scarce. Not only did the buying public take to the little egg-shaped car with the odd front door, but so did other manufacturers. The little cars were built under license by other companies in France, Brazil, Argentina and, ultimately, Germany where BMW used one of their motorcycle engines to motivate their licensed version of this machine. 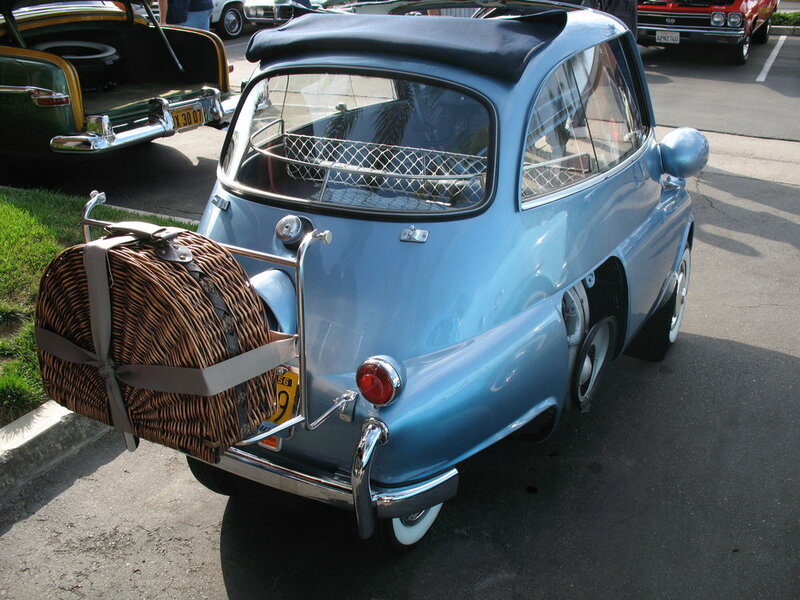 A later Isetta where the BMW added a rear seat to the car to increase its appeal as a family cruiser. 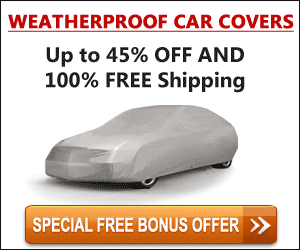 Note the lack of a sunroof due to there being a single forward-hinged rear door. In typical German fashion, BMW changed so much of the car that none of the parts between their version and the original could be interchanged. People evidently liked the changes as over 160,000 Isettas rolled out of BMW factories. Another reason these were so popular is that, in Germany at the time, you only needed a motorcycle license to operate it. Today they’re very iconic and competing with modern traffic is. Well. It’s interesting. “It’s got 13 horsepower and I think the top speed is officially 53 mph and I have had it up that high. It’s a little scary. People tell Nick, “my lawnmower has more power than your car!” Well, there’s that. One of the design elements that people may miss is that all Isettas have canvas sunroofs and this was actually for safety reasons. Since the entire front of the car is the door, occupants would be in peril in even the most minor collisions what with not being able to open the door. So, the sunroof is plan “B” and also makes for a much airier feeling cockpit. Oh, and on the subject of that front door the steering wheel is attached to it so they hinge outwards to make ingress/egress better. And these little cars tend to stick with you. In fact, Nick put on a microcar show for a while. But in the case of Nick’s car he presently doesn’t have the sunroof so he makes sure to carry a really, really large umbrella with him in the event of inclement weather. Hold on to that umbrella while you’re rowing the gears to keep that 300cc in Nick’s car worked up enough to keep up with traffic. So while the lawn mower comments continue Nick continues to buzz around town in the little bubble car and who could blame him? Like many other truly unusual cars you know an Isetta is an Isetta and the owner is probably driving around with a big smile on their face. Another BMW Isetta I caught at a car show a while back.